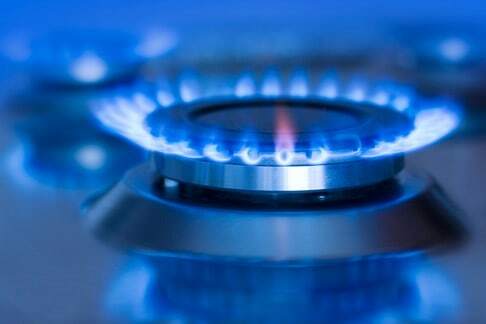 Home > Future of gas in Australia: a new paradigm? 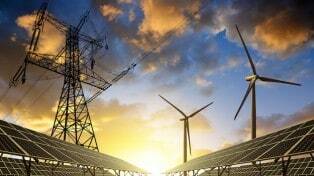 Future of gas in Australia: a new paradigm? The prospect of very big gas price increases or even shortages has made the gas market a hot topic. The possibility of such outcomes arises from the connection of Australia’s domestic market with the broader regional market via LNG exports from Queensland. The Australian Competition and Consumer Commission (ACCC) has delivered its report on the competitiveness of wholesale gas prices in Eastern and Southern Australia. The ACCC’s conclusions and recommendations have been eagerly anticipated and will set a direction for the role of gas in Australia for some time to come. This Energy Futures public forum featured Rod Sims, the Chairman of the ACCC, who will discuss the Commission’s report. He was joined by a panel of key stakeholders from the gas sector who responded to the Report from their own perspectives: Is this a fair set of conclusions? Will the recommendations address the concerns of producers, pipeliners and customers? What does this report mean for the future of gas as a key energy source? Dr Leslie Martin is a lecturer (assistant professor) in the Department of Economics at the University of Melbourne. Leslie’s primary fields are environmental economics and energy economics, her research currently focusing on consumer responses to the availability of smart meter data in markets with retail competition, and interactions between regulation, firms, and environmental outcomes in industrialising countries. Leslie has a PhD in Agricultural and Resource Economics from the University of California, Berkeley and a BA in applied math from MIT. Rod Sims was appointed Chairman of the Australian Competition and Consumer Commission in August 2011 for a five year term. Prior to his appointment to the ACCC he was the Chairman of the Independent Pricing and Regulatory Tribunal of New South Wales, Commissioner on the National Competition Council, Chairman of InfraCo Asia, Director of Ingeus Limited, and member of the Research and Policy Council of the Committee for Economic Development of Australia. Rod was also a Director of Port Jackson’s Partners Limited where he advised the CEOs and Boards of some of Australia’s top 50 companies on commercial corporate strategy over many years. Rod is also a past Chairman of the NSW Rail Infrastructure Corporation and the State Rail Authority and has been a Director of a number of private sector companies. Mark Grenning is currently the interim Chair in Sustainable Energy Futures at the University of Queensland. He previously worked for Rio Tinto for 30 years, the last seven being the company’s global energy supply subject matter expert. This role involved leading major projects and providing advice to operations around the world. He is a Director and past Chairman of the Energy Users Association of Australia and has had a long involvement in representing users’ interests in the governance structures and debates around electricity and gas markets in Australia. Nevenka Codevelle is Company Secretary & General Counsel at APA Group. She is a senior executive with over 20 years experience as a corporate, commercial and competition lawyer, particularly in infrastructure industries. She is currently responsible for the legal, company secretariat, risk and compliance functions at APA Group and has been part of the company’s core management team involved in all major transactions and growth initiatives that lead to the company’s growth from an ASX250 to an ASX30 company in less than 10 years. Prior to joining APA Group in 2008, Nevenka worked in private practice at Clayton Utz and Minter Ellison in Sydney, as well as Slaughter & May in London. She also spent over 3 years as a senior policy adviser to the National Competition Council. Damian Dwyer is the Director of Economics at APPEA. Damian’s key responsibilities include a range of economic and trade issues within the upstream oil and gas industry, including climate change, energy policy and international trade issues. Damian commenced his career as an economist in the Australian Public Service and positions within agencies, including the Productivity Commission. Damian has a Bachelor of Economics and a Graduate Diploma in Public Economic Policy from the Australian National University, where he won the Prize in Public Economic Policy in 1996. He is a non-Executive Director of the Australian Industry Greenhouse Network Ltd and a member of the Economic Society of Australia.